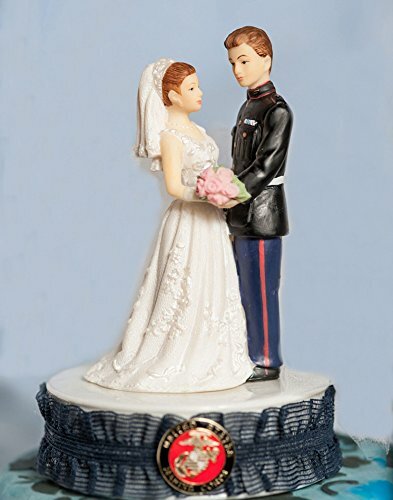 Is your man or father a military man and are you preparing a surprise for him? 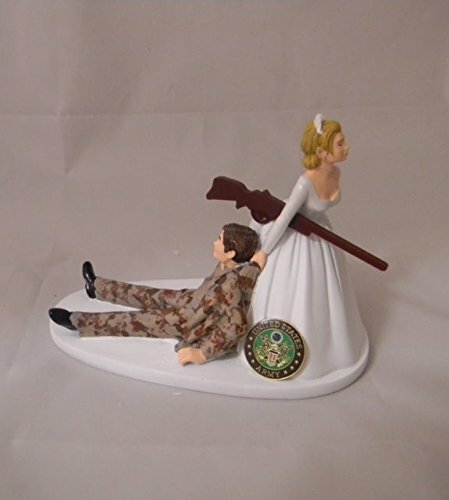 Or maybe you have a celebratory military evening? You came to the right page. 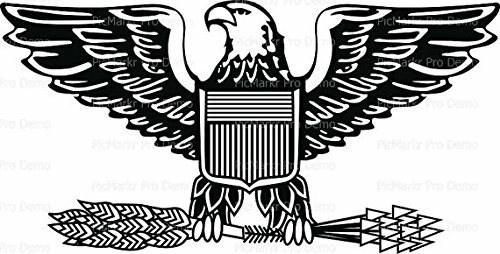 Make your cake irresistible with the help of an edible image of an eagle sticker. 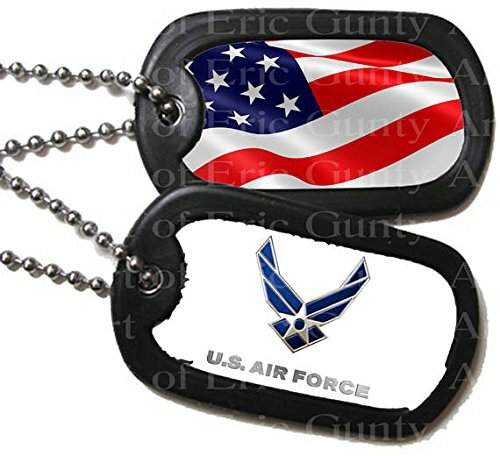 Also, we can offer stickers in the form of a star, a military rifle, inscriptions “U.S. 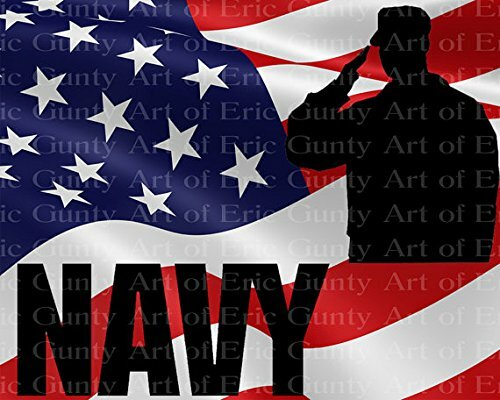 Air Force,” “Army national guard,” “Happy Birthday,” Navy military camo America birthday,” “Military US navy seals birthday.” These labels do not contain soy, gluten, and Trans fats; they are entirely safe for children. 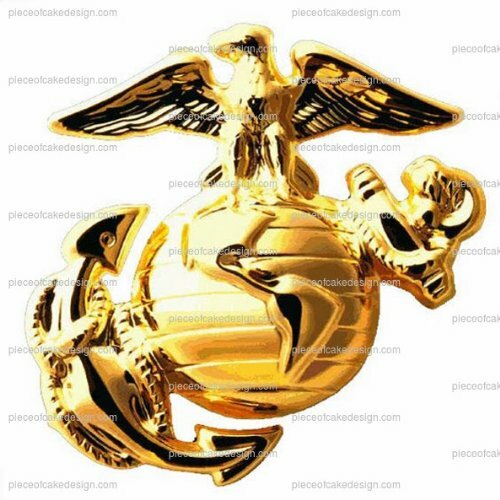 Military marines’ emblem birthday is an excellent bright gold sticker. 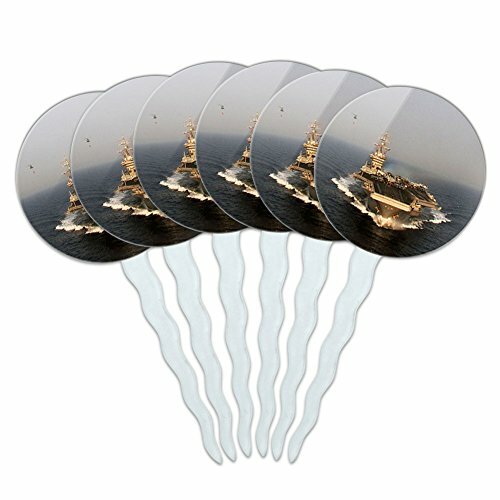 It can be used for an adult and children’s celebration. It does not contain all known allergens, gluten, and soy. 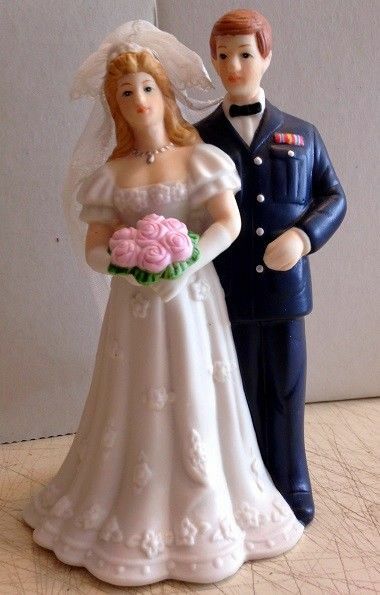 If your man serves in the US Air Force, then for your wedding cake, we offer a couple of figures of the bride and groom. 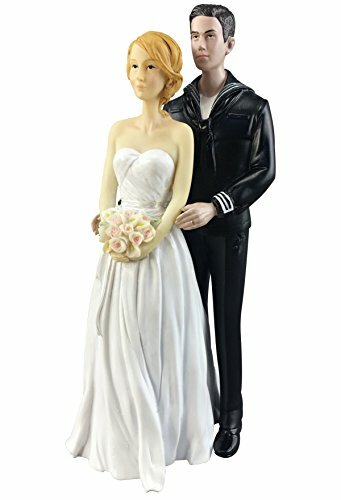 It is handmade from porcelain. 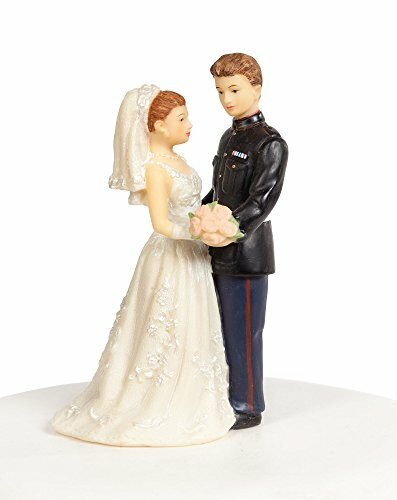 The bride is holding a bright pink bouquet. 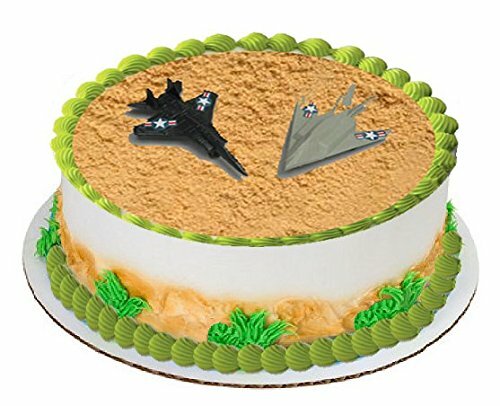 To decorate a children’s cake for a birthday, use toppers with airplane fighters. 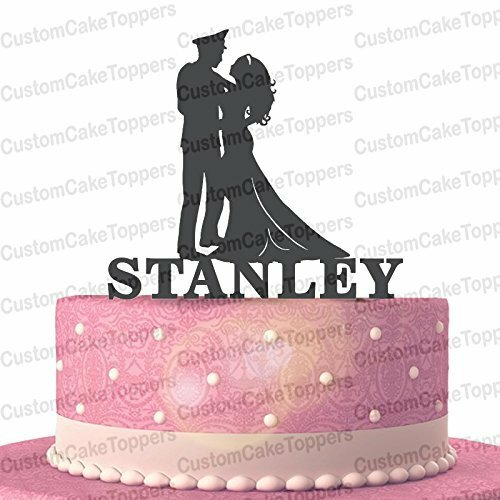 You can order toppers for a wedding cake in the form of a pair with an individual inscription of your name and date of marriage. 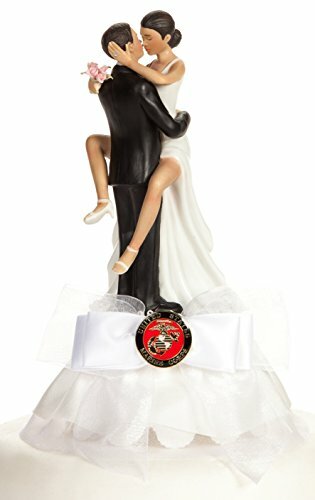 They hug each other or hold pistols in their hands, and the bride is dressed in a frank dress. 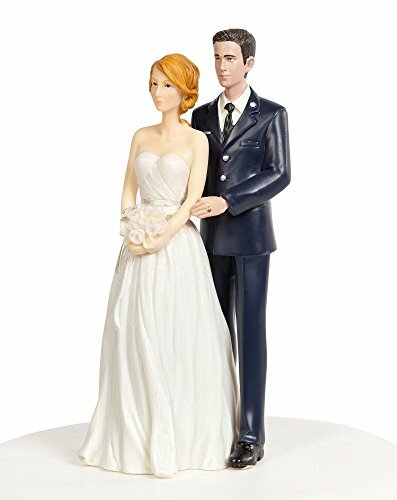 And we also have charming figures for a wedding cake. 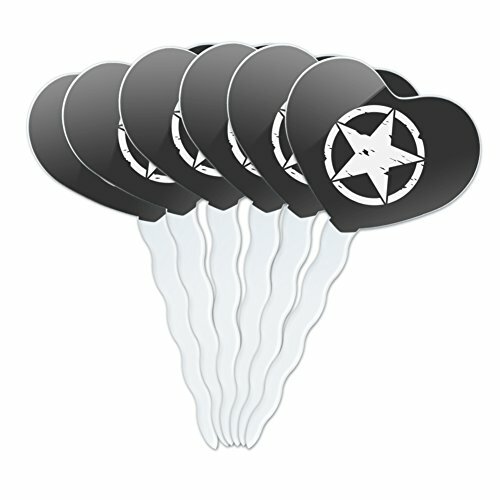 For cupcakes, we can offer sets of round shape or in the form of hearts with the image of a star in vintage style, and also with the model of an aircraft carrier of the USA, helicopters, and airplanes. 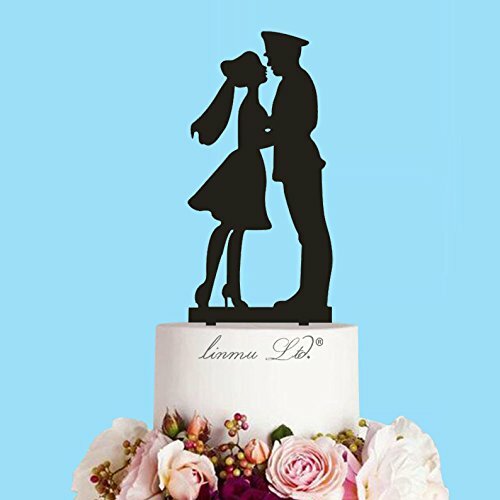 In general, here you can find decorations for your celebration and cheer up guests, with the help of our original toppers. 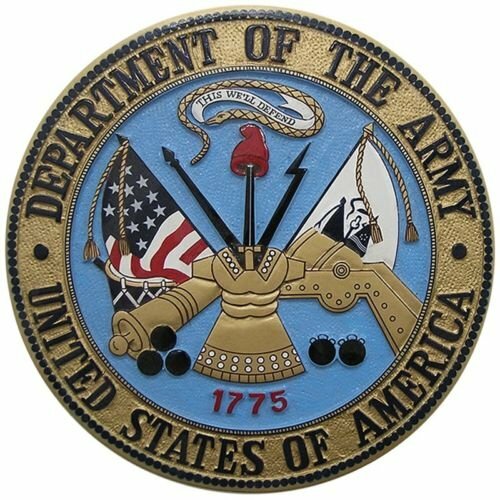 1/2 Sheet – Army Colonial Insignia Military – Edible Cake/Cupcake Party Topper!!! 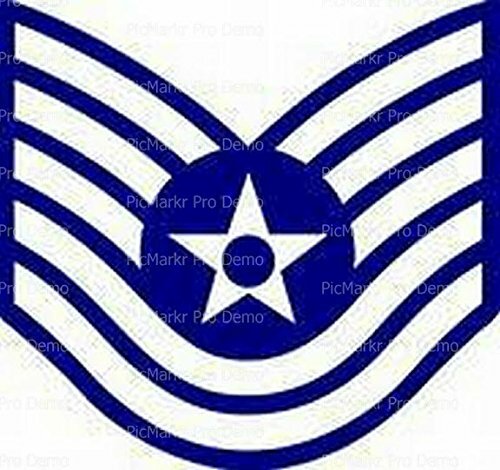 1/2 Sheet – Military Air Force Technical Sergent Insignia – Edible Cake/Cupcake Topper!!! 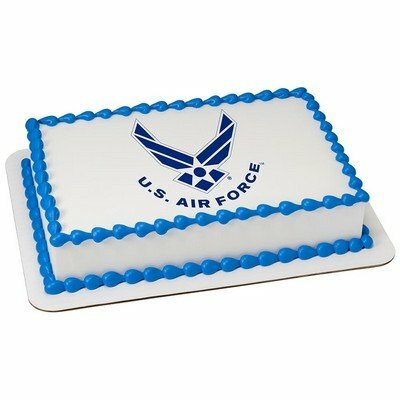 1/2 Sheet – US Air Force Military Birthday – Edible Cake/Cupcake Party Topper!!! 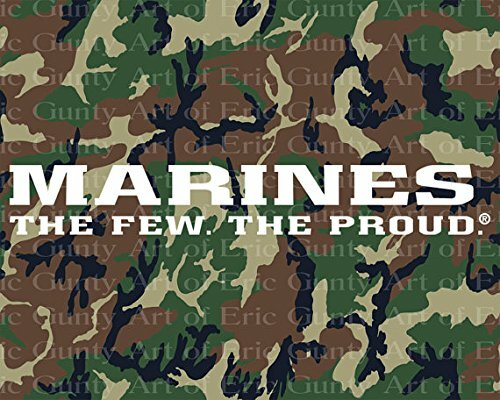 1/4 ~ Military Marines Emblem Birthday ~ Edible Cake/Cupcake Topper!!! 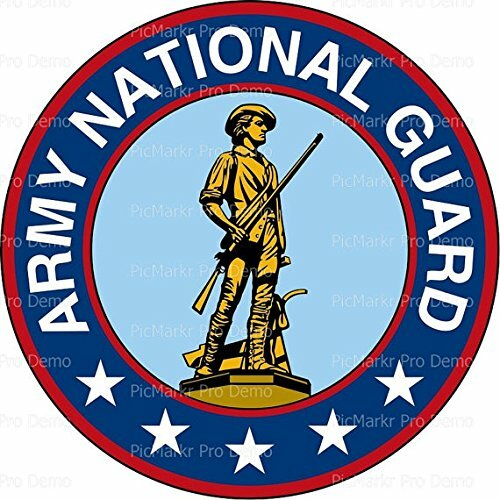 1/4 Sheet – Army National Guard Military Logo – Edible Cake/Cupcake Topper!!! 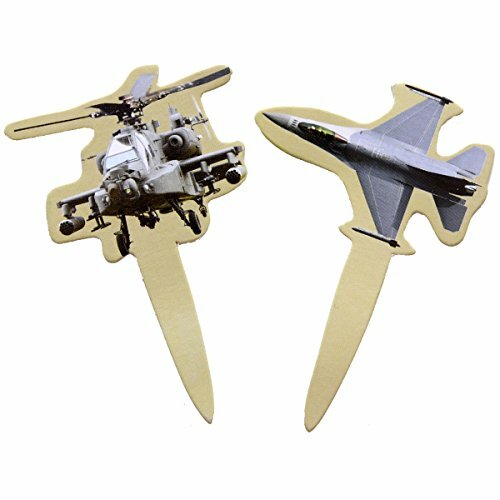 1/4 Sheet – Military Rifle Birthday – Edible Cake/Cupcake Party Topper!!! 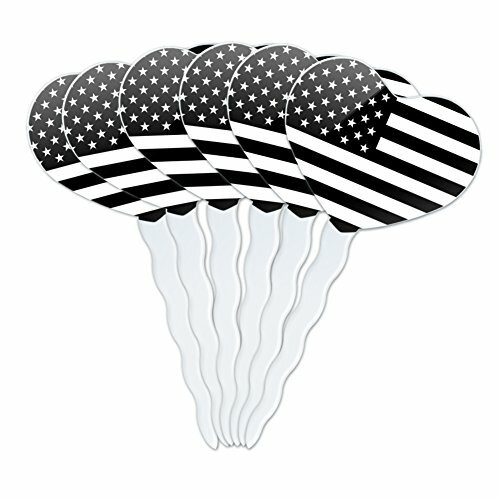 1/4 Sheet – Military Veteran’s Day – Edible Cake/Cupcake Party Topper!!! 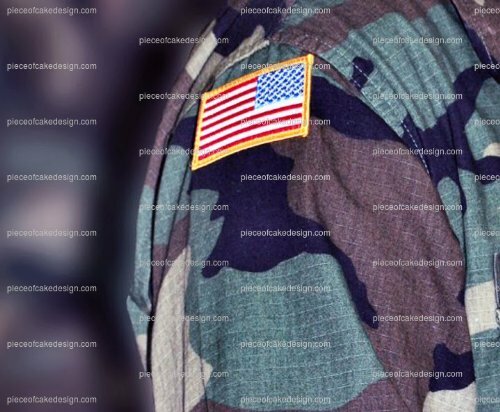 1/4 Sheet – Navy Military Camo America Birthday – Edible Cake/Cupcake Party Topper!!! 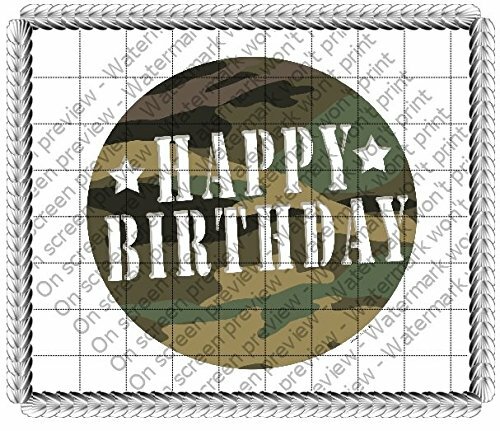 1/8 Sheet – Marines Military Camo America Birthday – Edible Cake/Cupcake Party Topper!!! 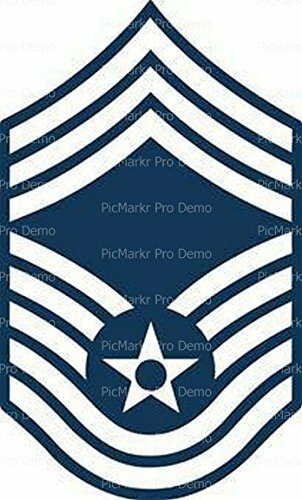 1/8 Sheet – Military Air Force Senior Master Sergent Insignia – Edible Cake/Cupcake Topper!!! 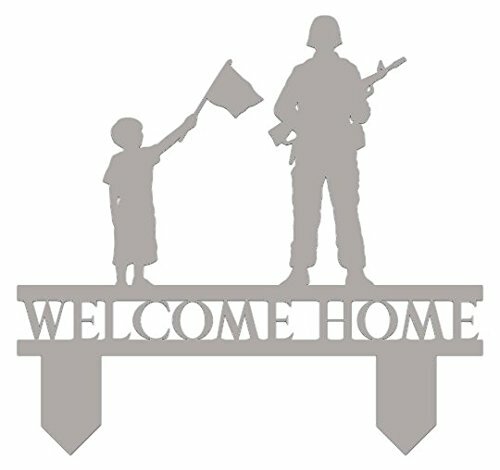 1/8 Sheet – Military Veteran’s Day – Edible Cake/Cupcake Party Topper!!! 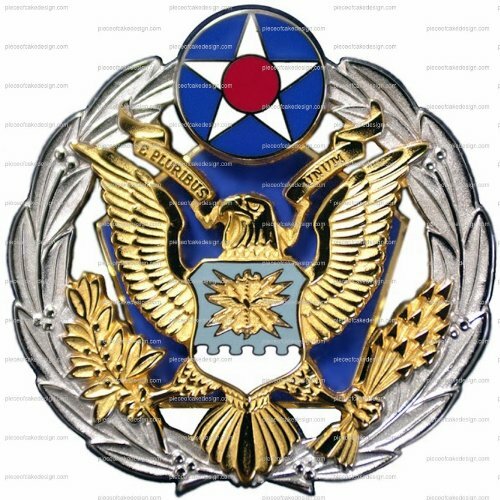 2″ ~ Military Air Force Emblem Birthday ~ Edible Cake/Cupcake Topper!!! 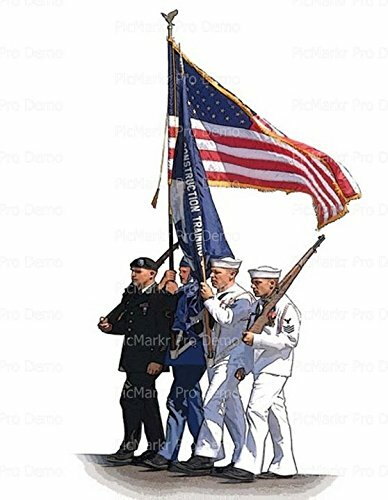 2″ ~ Military American Flag On Shoulder Birthday ~ Edible Cake/Cupcake Topper!!! 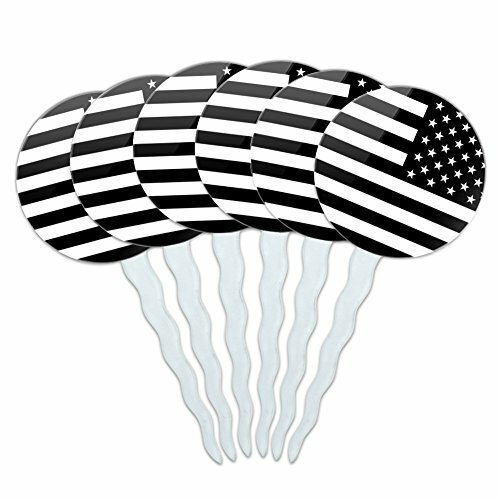 2″ ~ Military US Navy Seals Birthday ~ Edible Cake/Cupcake Topper!!! 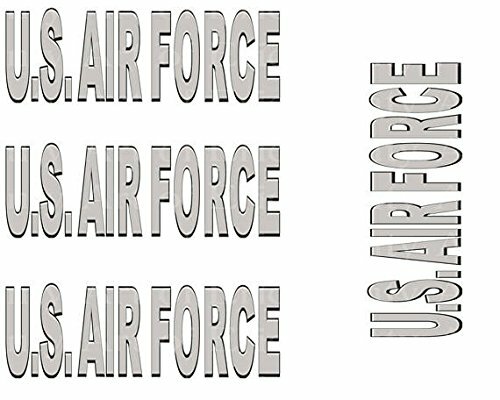 2″ Round – Air Force Military Dog Tags Birthday – Edible Cake/Cupcake Party Topper!!! 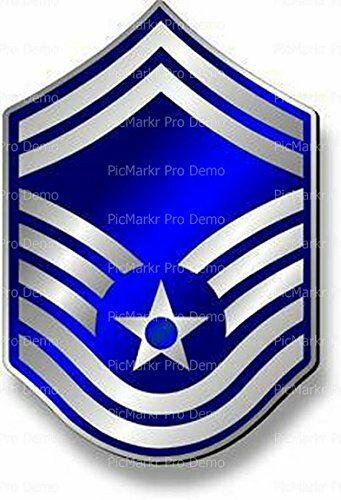 2″ Round – Military Air Force Chief Master Sergent Insignia – Edible Cake/Cupcake Topper!!! 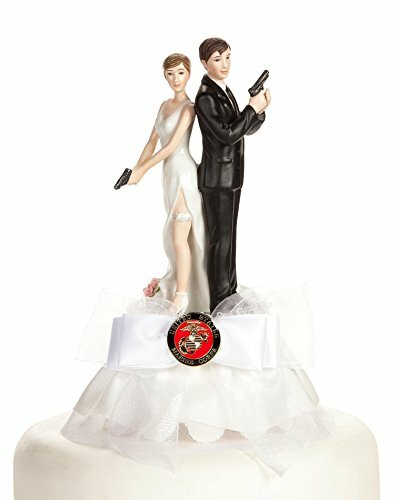 3″ Round – Military Rifle Birthday – Edible Cake/Cupcake Party Topper!!! 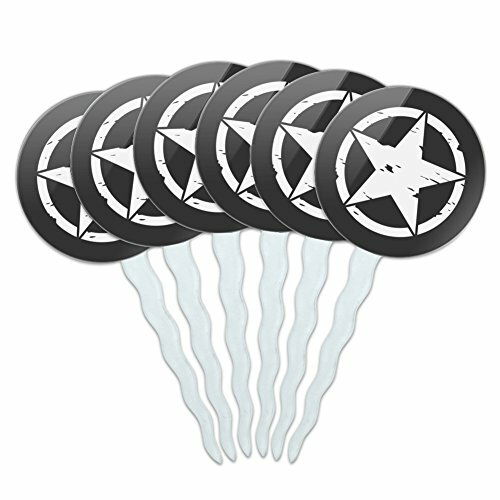 3″ Round – United States Military Rifle – Edible Cake/Cupcake Party Topper!!! 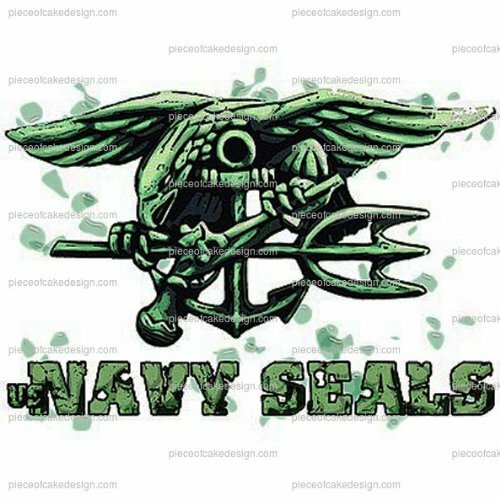 6″ ~ Military US Navy Seals Birthday ~ Edible Cake/Cupcake Topper!!! 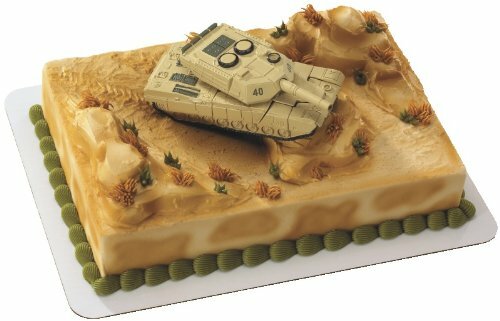 8″ Round – Military Camo Happy Birthday – Edible Cake/Cupcake Party Topper!!! 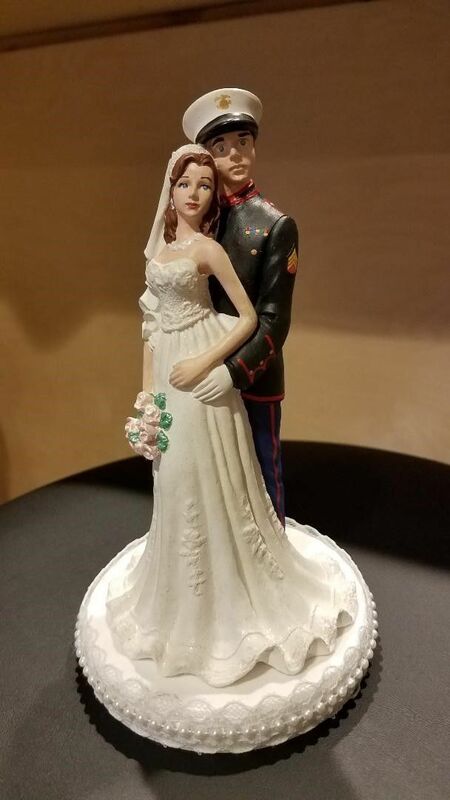 This fine porcelain base matches many of of our figurines. 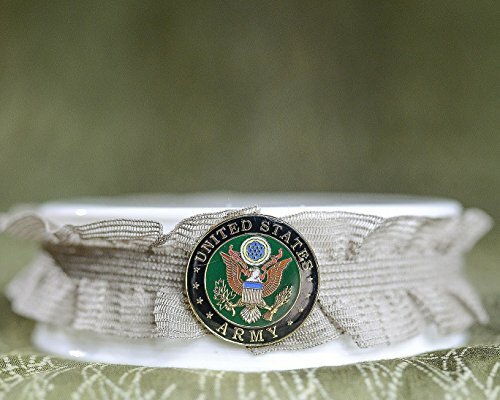 It features a delicate trim and Army seal. 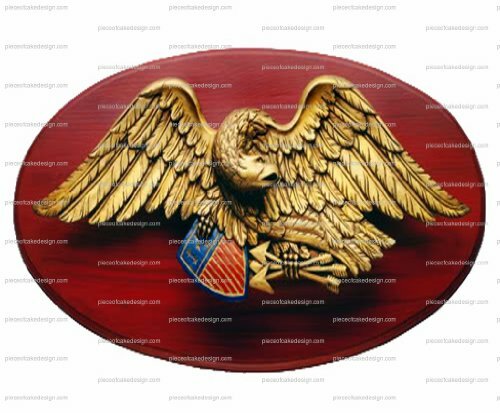 Base fits figurines with a base diameter of up to 3 3/4″ width. 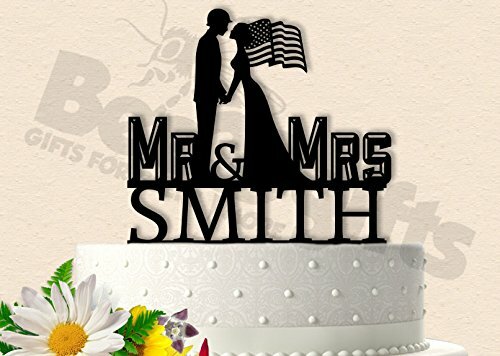 Its the perfect way to build your own DIY cake topper! 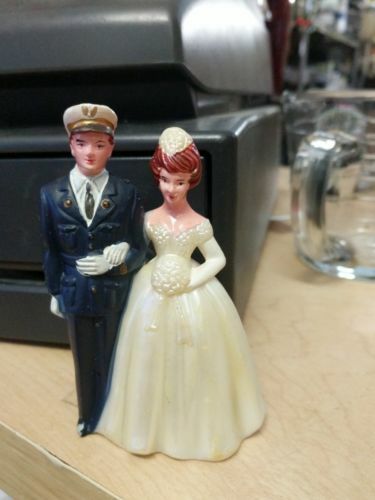 This fine porcelain base matches many of of our figurines. 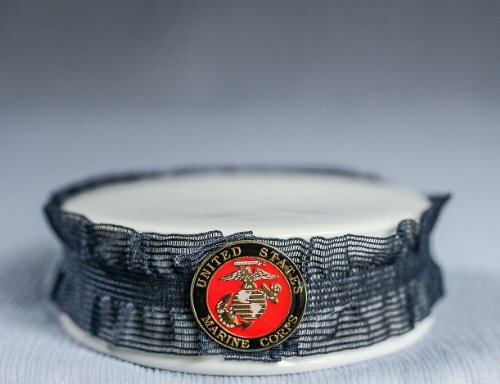 It features delicate Navy trim and the Marine seal. 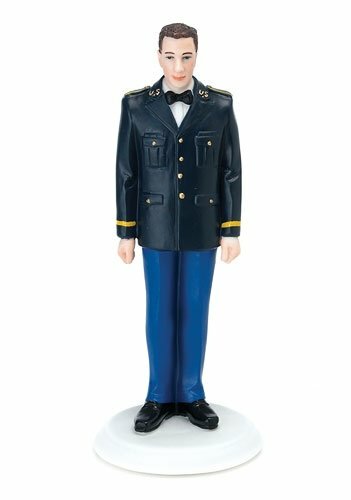 Base fits figurines with a base diameter of up to 3 3/4″ width. 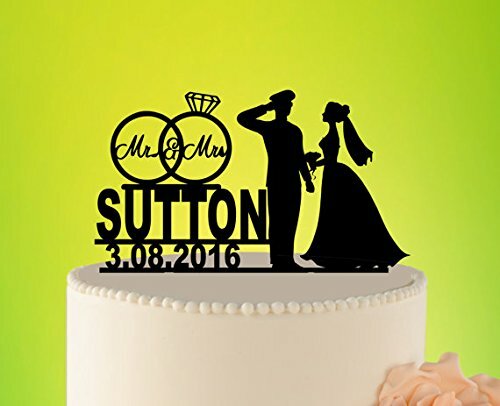 Its the perfect way to build your own DIY cake topper! 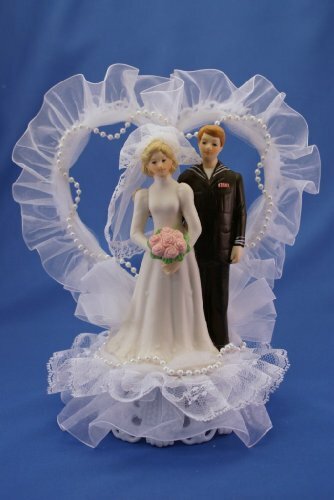 High quality wedding supplies, low prices Height: 6.5" Base Width: 4"
Ingredients Water, Cornstarch, Corn Syrup Solids, Cellulose, Sorbotol, Glycerine, Sugar, Vegetable Oil, Arabic Gum, Polysorbate 80, Vanilla, Titanium Dioxide, Citric Acid. All known allergen and gluten-free. Directions Edible icing art is a great way to make a cake and cupcakes look fantastic and professional. 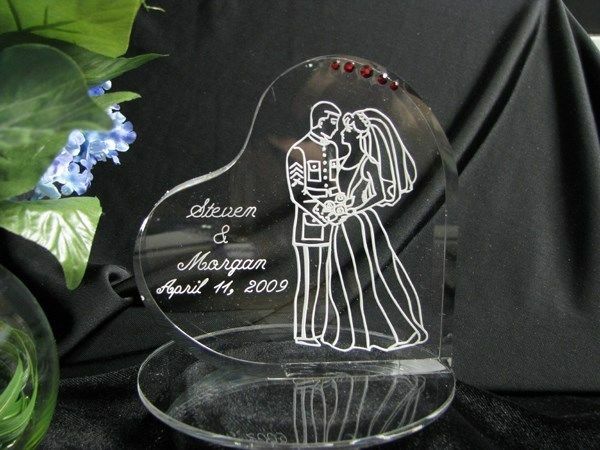 These are an easy and inexpensive way to make your cake look like a masterpiece. All icing images come with instructions . 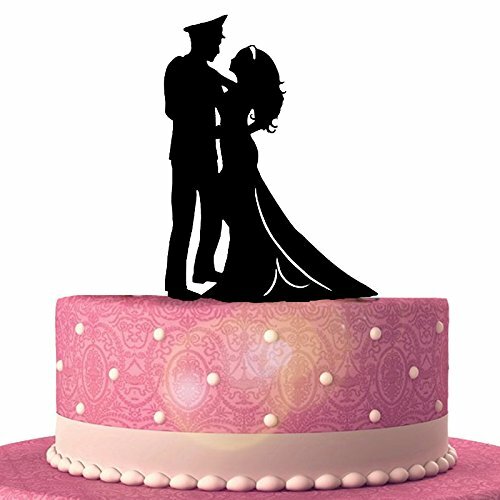 Simply remove the edible icing art from backing and place on top of freshly iced cake or cupcakes. 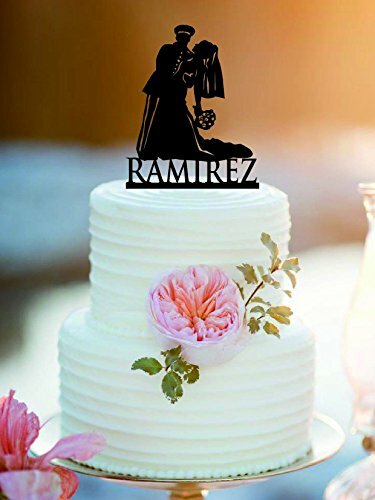 Excellent way to decorate the sides of cakes. 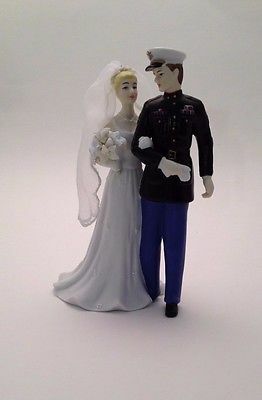 Beautiful porcelain Bride and (USMC) Marine military wedding cake topper. 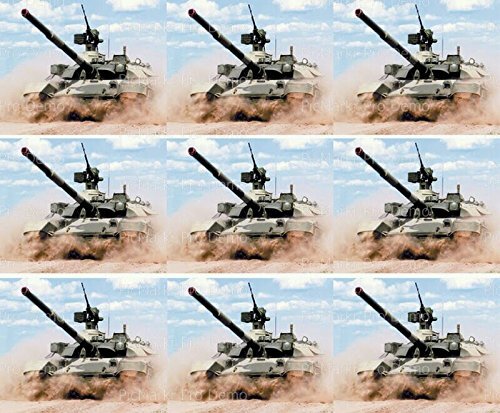 Used once, in immaculate condition!